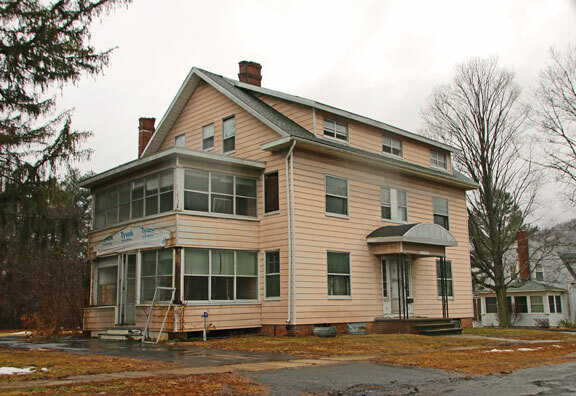 BEACON FALLS — The town is looking to drain the oil left in tanks at the town-owned property at 35 Wolfe Ave.
During the Board of Selectmen’s Jan. 14 meeting, Selectman Michael Krenesky said there’s about 150 to 200 gallons of oil in two tanks on the property. The board decided to get a cost estimate from Smith Oil Company, the local oil company the town works with, for the work. If the number comes in too high, the board could seek bids, First Selectman Christopher Bielik said. Krenesky said he wasn’t sure if the oil is still any good since it has been sitting there for over 10 years. “I don’t know how sludgy it will be. It might not have any value at this point,” Krenesky said. The future of the house and property, which was purchased by the town for $375,000 in 2008, is unclear. The town bought the house with the intention of building a library and media center on the property. Those plans never moved forward and the house may have to be demolished before anything is done on the property. Regardless of what the town ultimately decides, the oil needs to be removed from the tanks. “We need to pump that out of there at some point. I am just saying we need to do it sooner rather than later,” Krenesky said.